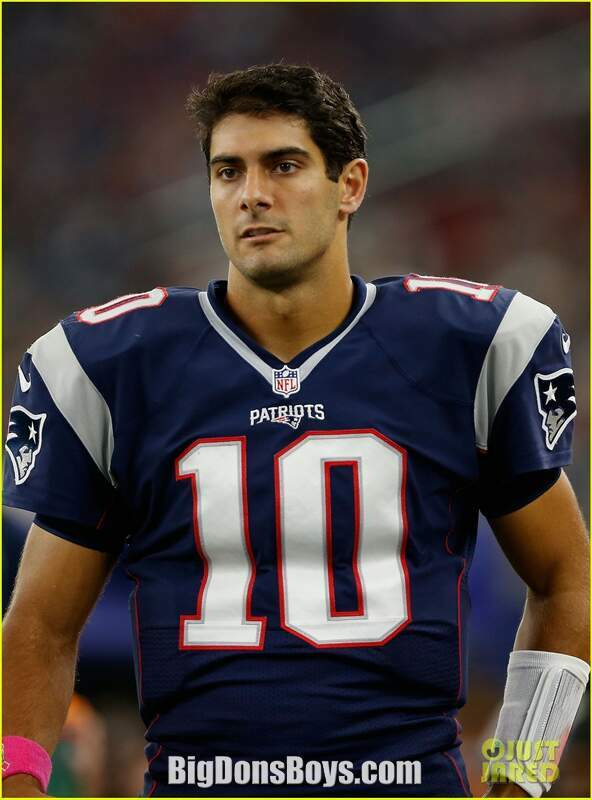 Jimmy Garoppolo (born 1991) is an American football quarterback for the New England Patriots of the National Football League (NFL). 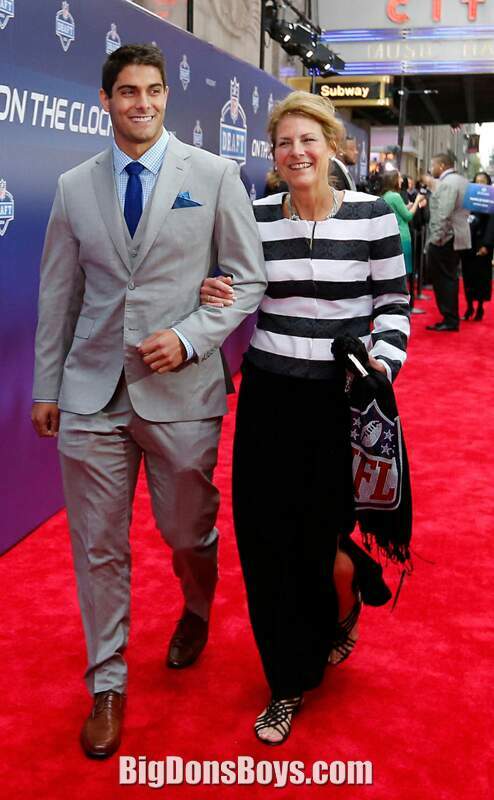 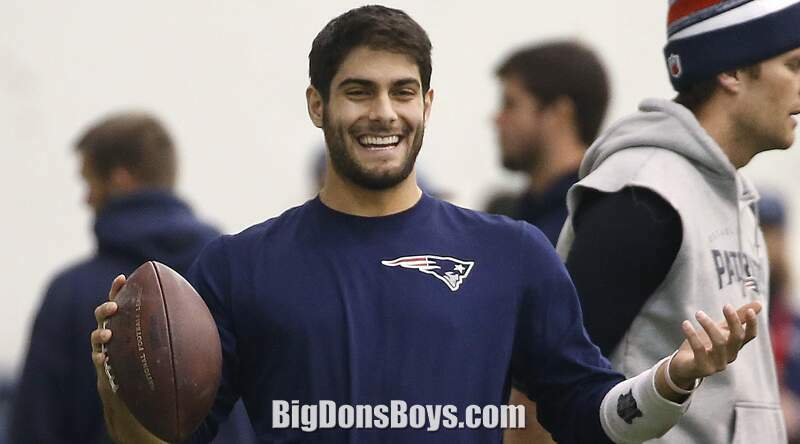 He was drafted by the Patriots in the second round of the 2014 NFL Draft. 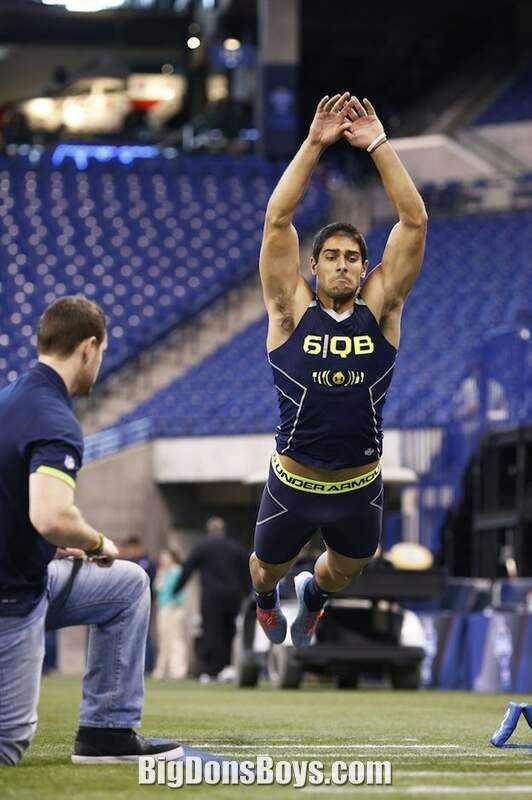 He played college football at Eastern Illinois. 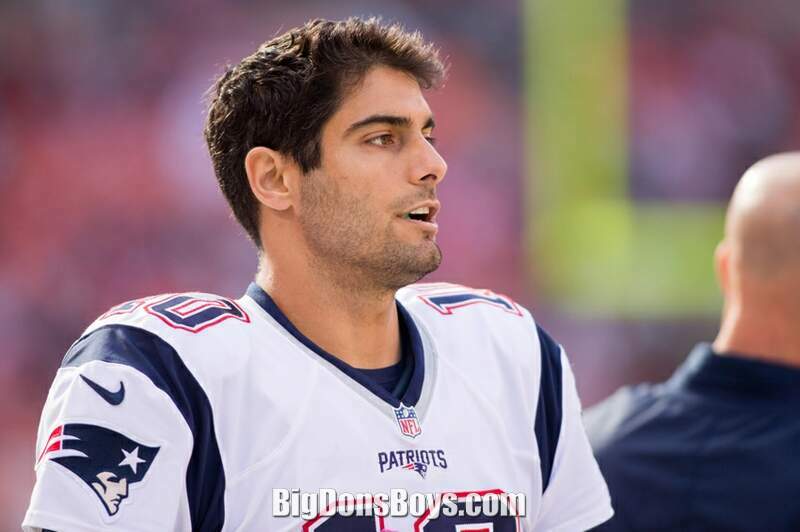 As a senior in 2013, Garoppolo broke Tony Romo's school records for career passing touchdowns, yards and passing touchdowns in a season. 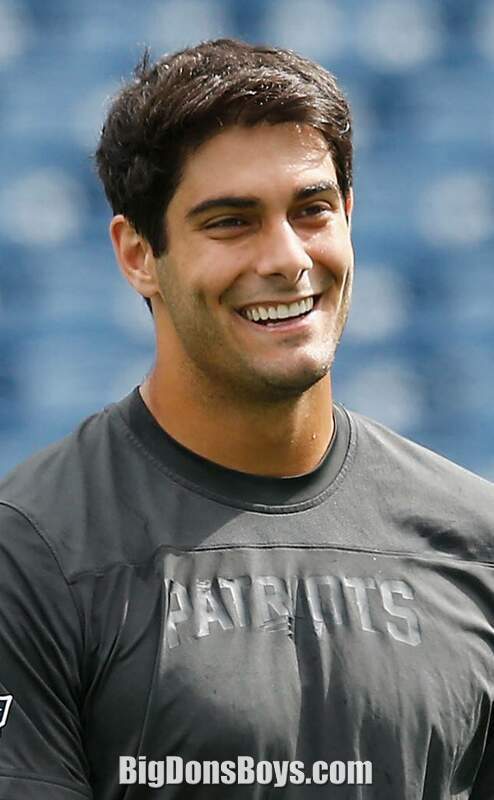 He also won the Walter Payton Award that season, which goes to the best offensive player in the Football Championship Subdivision. 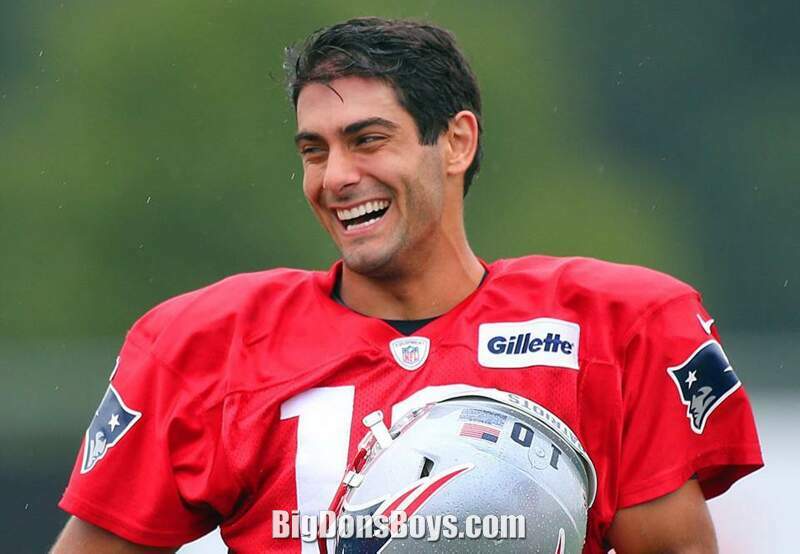 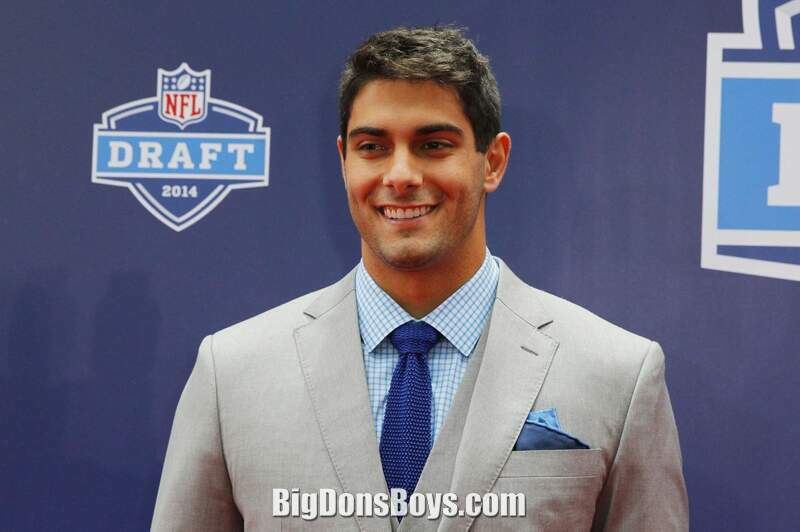 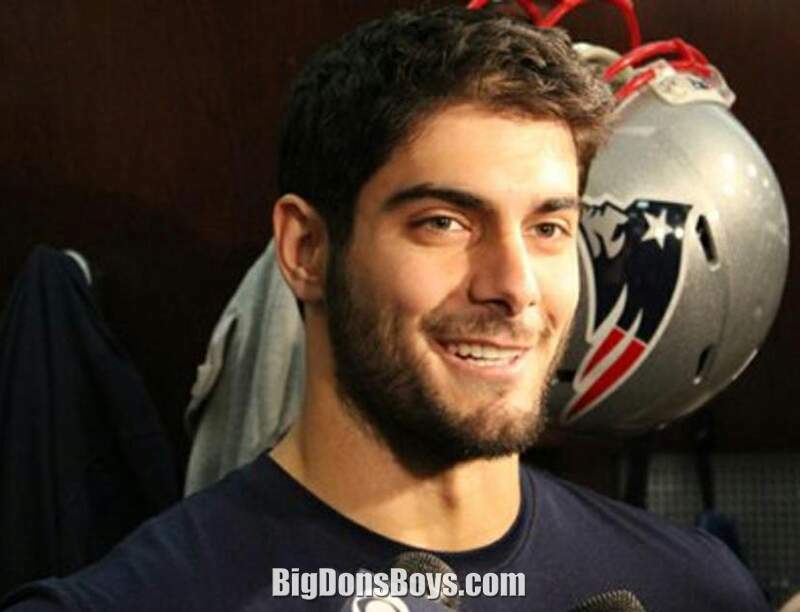 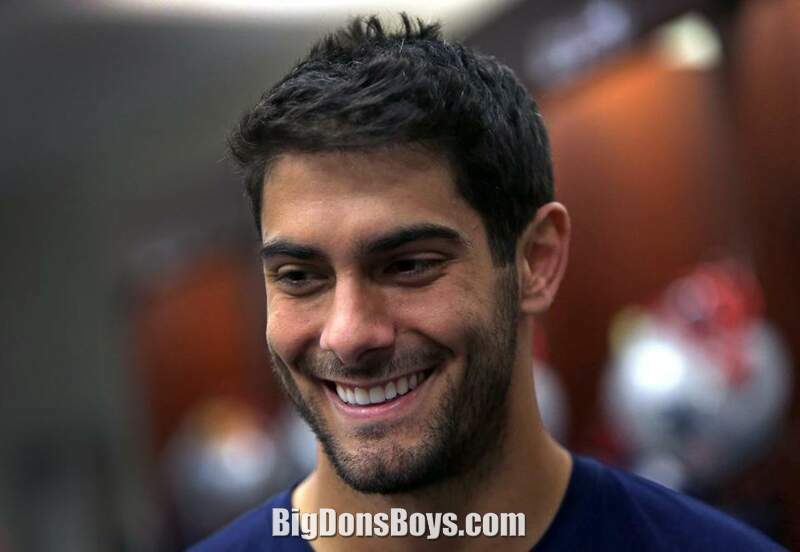 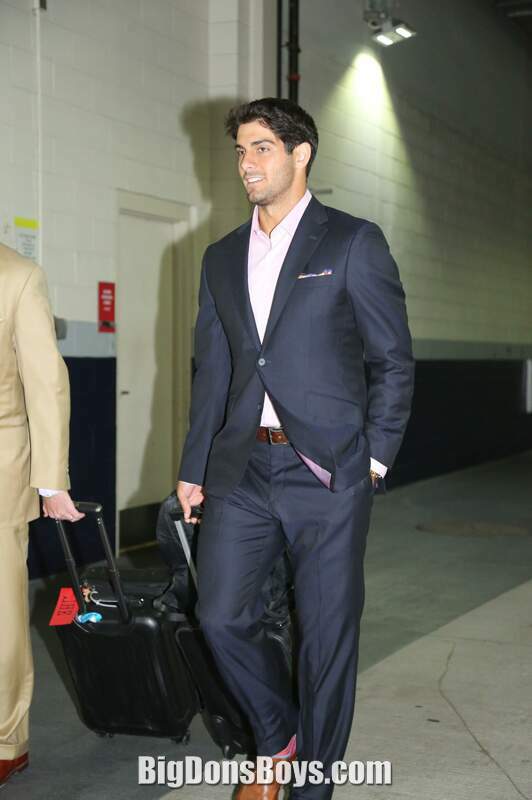 Garoppolo played football for the Eastern Illinois Panthers from 2010 to 2013. 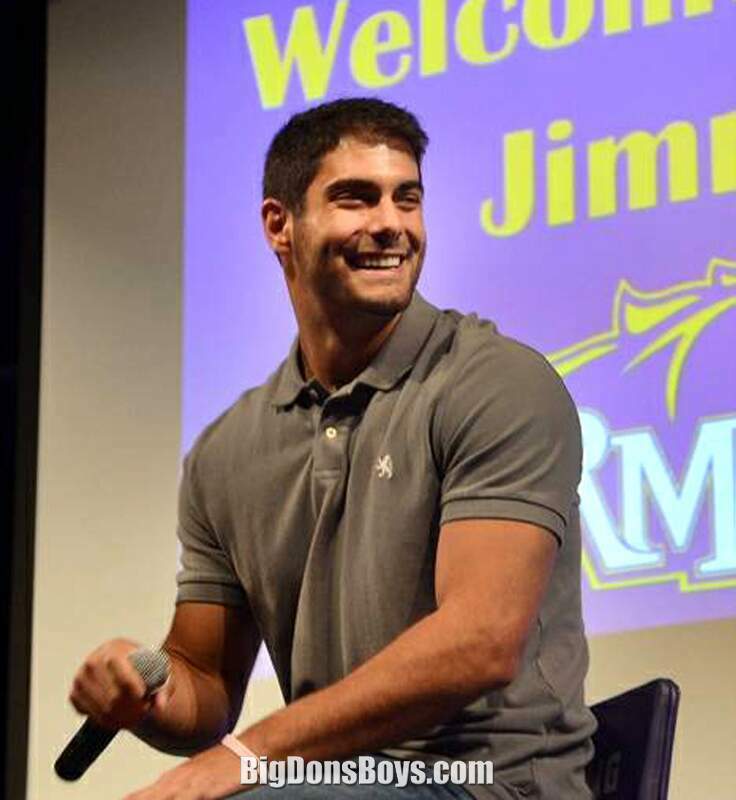 In his freshman year, he started eight games, passing for 1,639 yards and 14 touchdowns and earning All-Ohio Valley Conference Newcomer Team honors playing under head coach Bob Spoo. 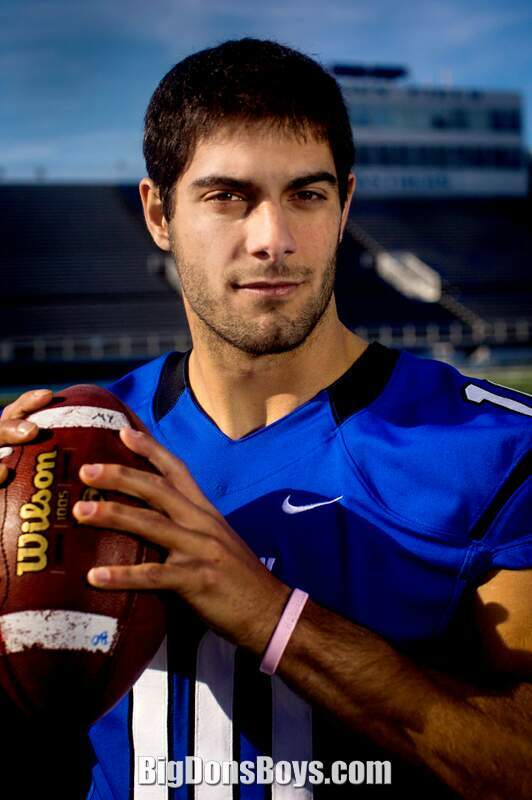 He went on to start every further game in his time at Eastern Illinois, passing for 2,644 yards and 20 touchdowns in 2011, 3,823 yards and 31 touchdowns in 2012, and 5,050 yards and 53 touchdowns in 2013, breaking the school record for career pass completions previously held by Dallas Cowboys quarterback Tony Romo. 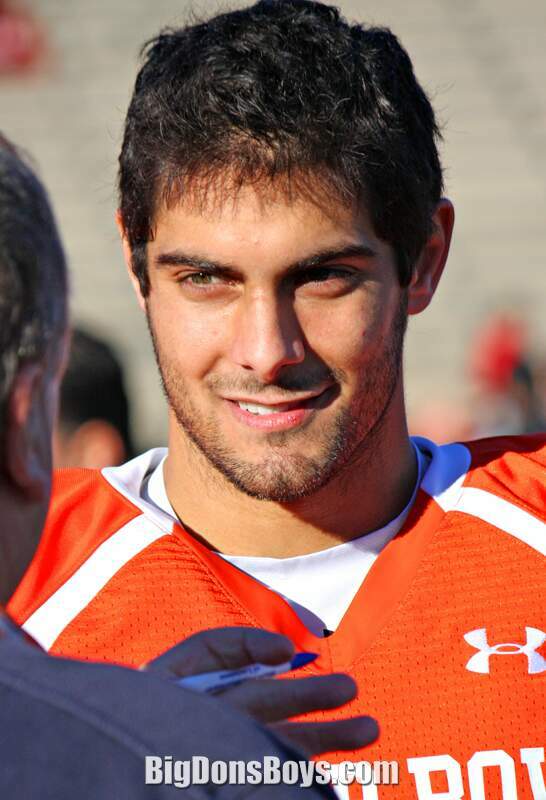 In his senior season, Garoppolo won the Walter Payton Award, given to the most outstanding offensive player in the Division I Football Championship Subdivision under head coach Dino Babers with his uptempo no huddle offense. 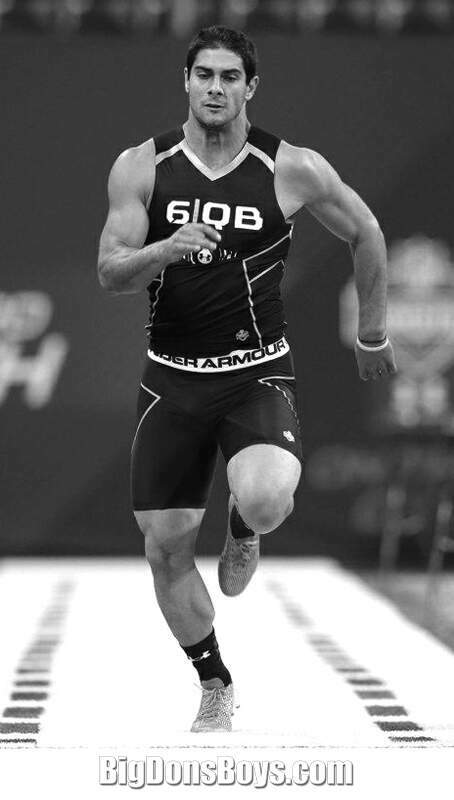 As a result of his successful senior season, he was named the 2013–14 OVC Male Athlete of the Year and the 2013 College Football Performance FCS National Quarterback of the Year. 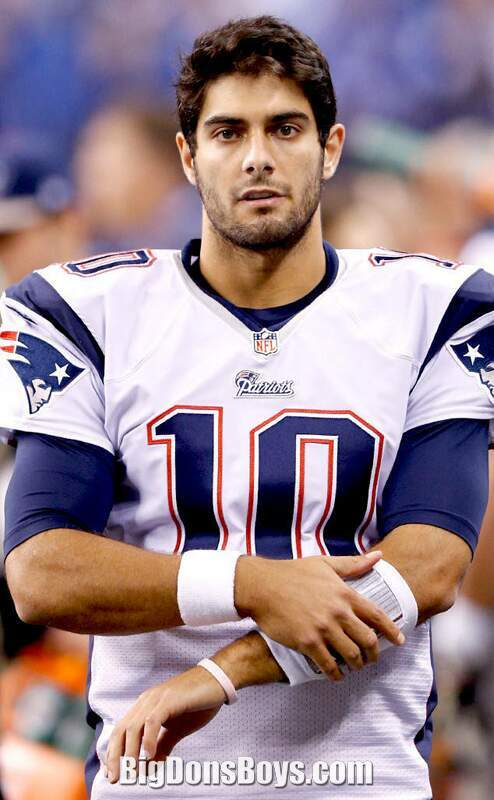 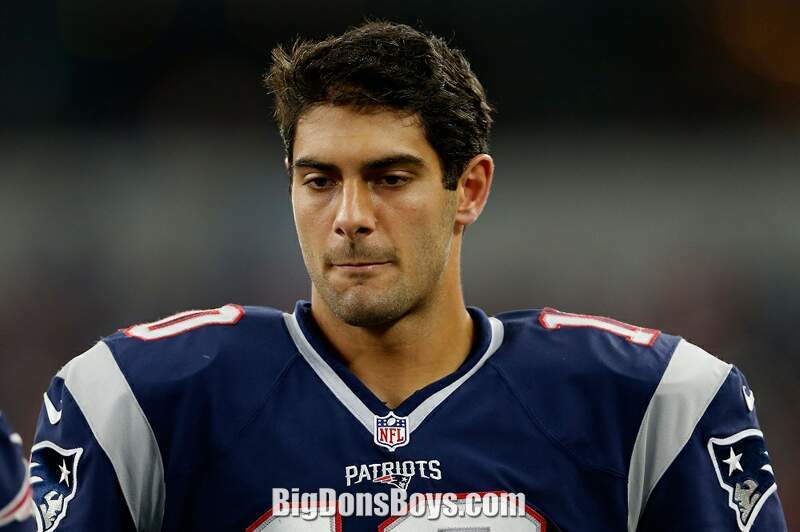 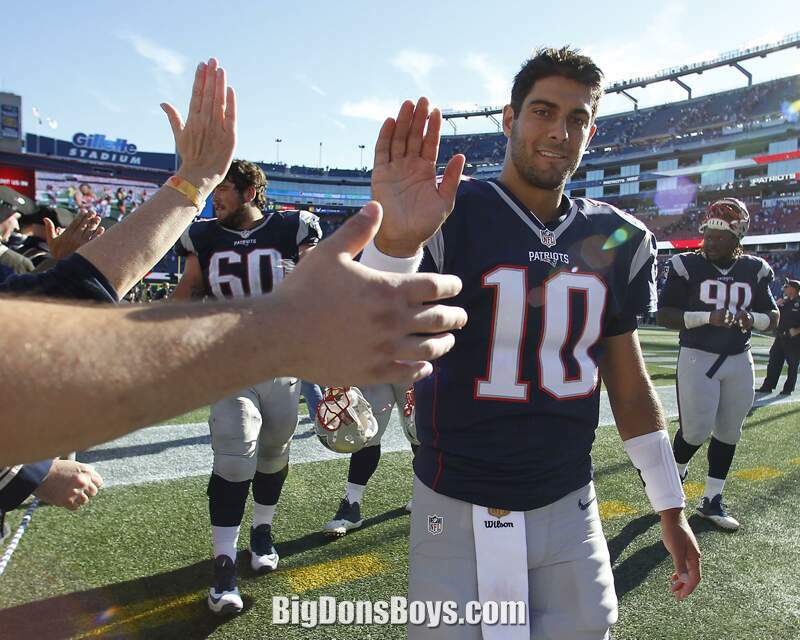 In 2014, Garoppolo made his regular season debut in the 4th quarter of the Patriots' Week 4 14-41 road loss to the Kansas City Chiefs on Monday Night Football. 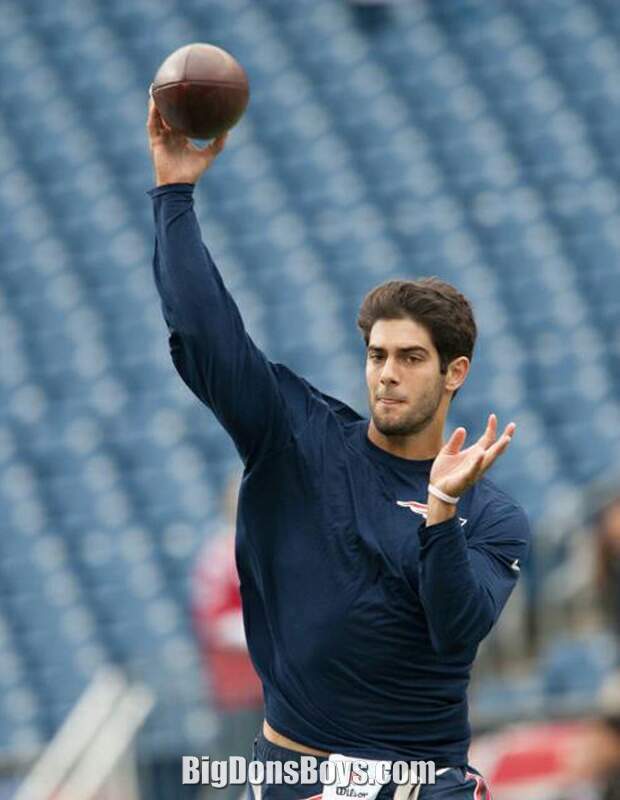 He led the Patriots on a scoring drive, which led to his first career passing touchdown on a 13-yard pass to tight end Rob Gronkowski on his first drive. 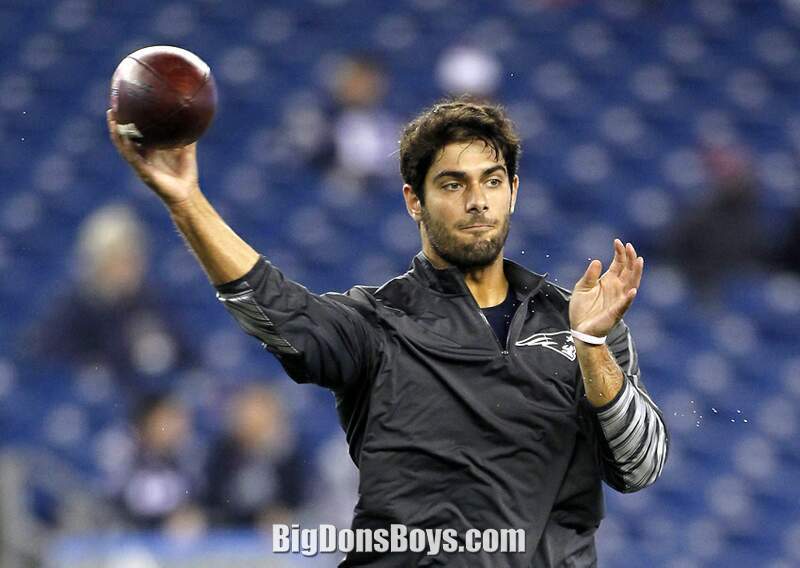 He finished the night completing six of seven passes for 70 yards and one touchdown, with a passer rating of 147.9. 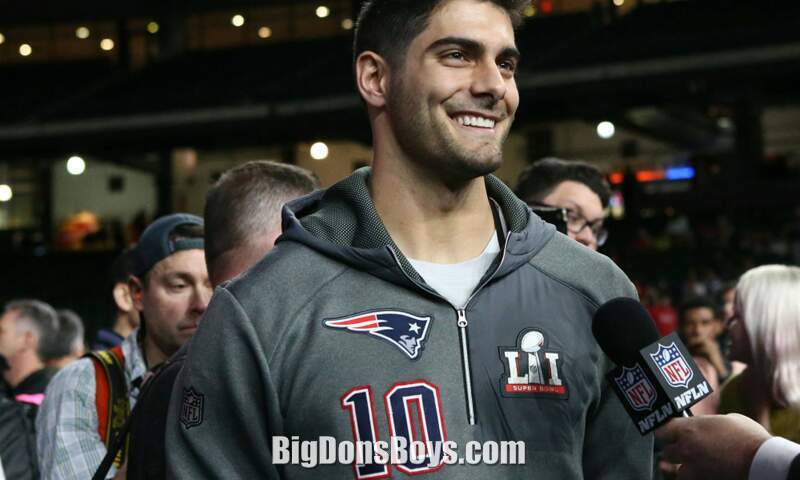 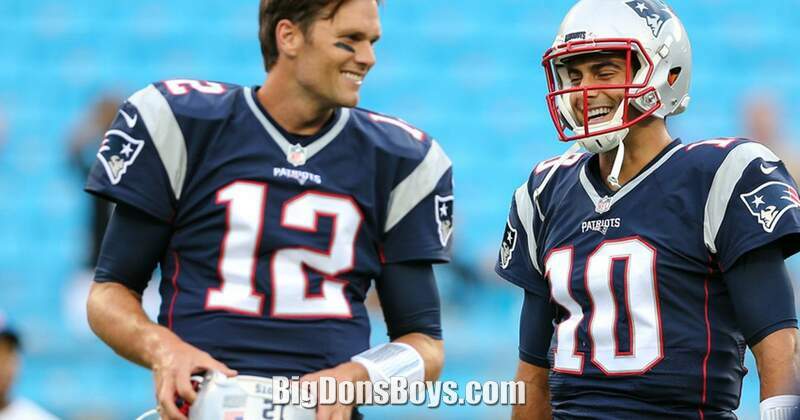 After starting quarterback (and human scum cheater) Tom Brady was suspended by the league for four games for Deflategate, coach Bill Belichick named Garoppolo the starting quarterback for the first game of the 2016 season, and he was expected to stand in for Brady for all four games. 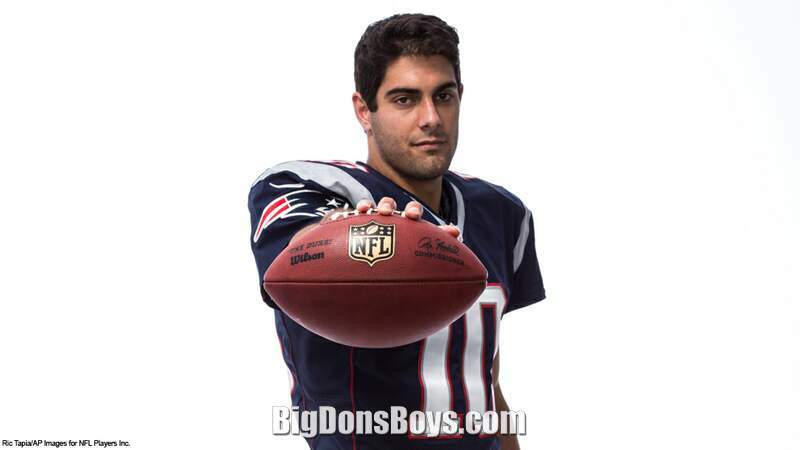 Garoppolo completed 24 of 33 passes for 264 yards and a touchdown in a 23–21 Week 1 victory over the Arizona Cardinals. 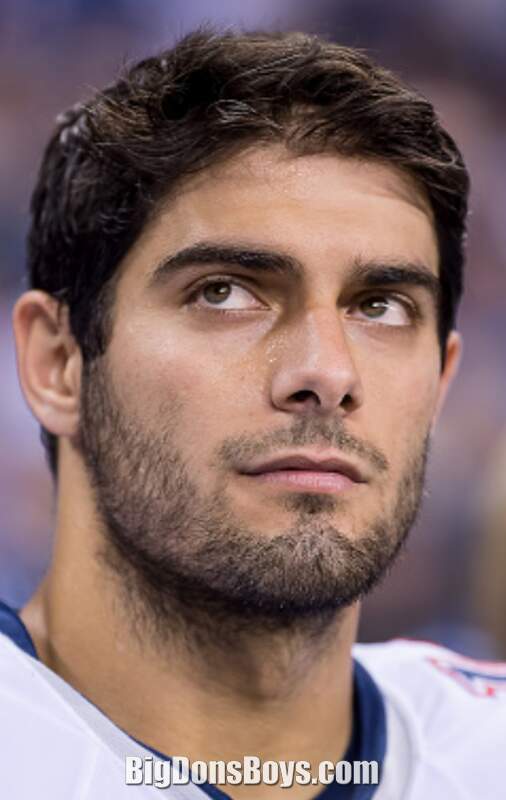 He threw for 234 yards and three touchdowns in Week 2 against the Miami Dolphins before being sidelined with a shoulder injury in the second quarter. 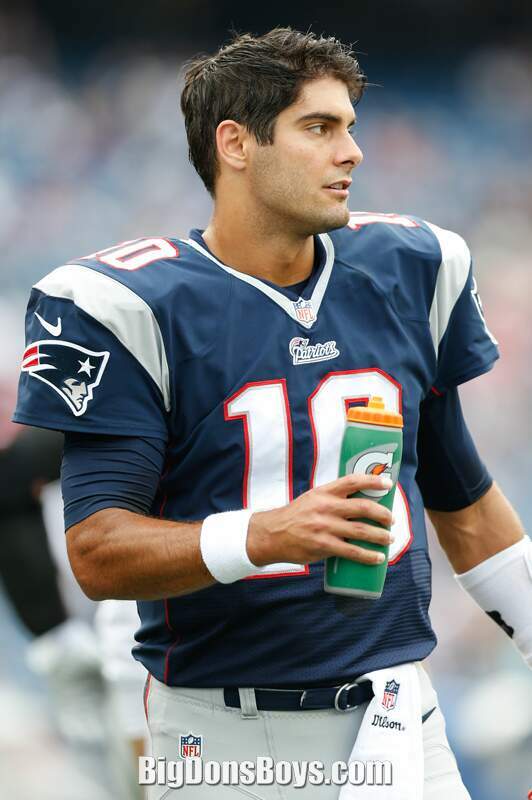 He sprained his AC joint after a hit by Dolphins' linebacker Kiko Alonso that kept him out the next two games, giving the starting job to rookie Jacoby Brissett before Brady returned from his suspension in Week 5. 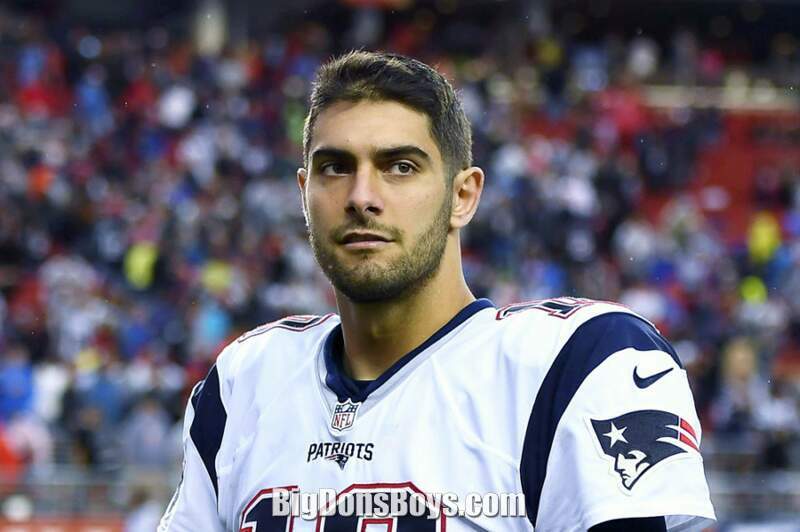 Ultimately, he was active for the Patriots' Super Bowl LI victory over the Atlanta Falcons, but again did not play any snaps. 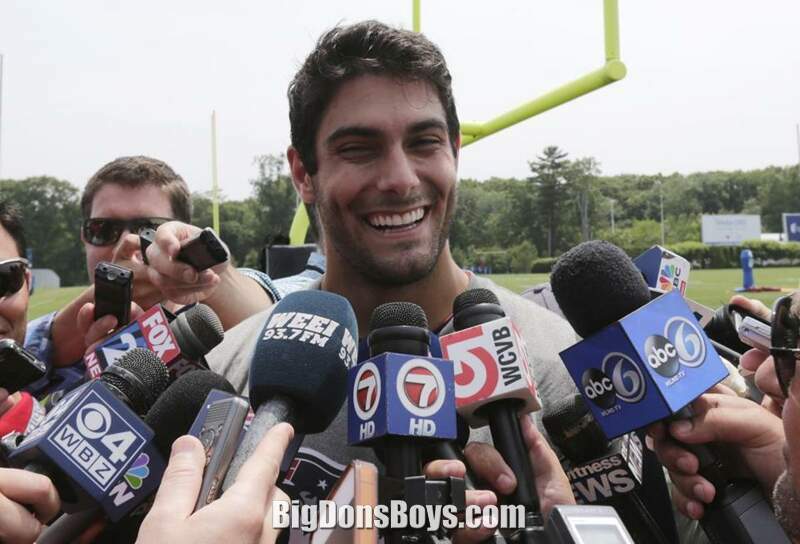 Jimmy Graoppolo talks about football ... or something. 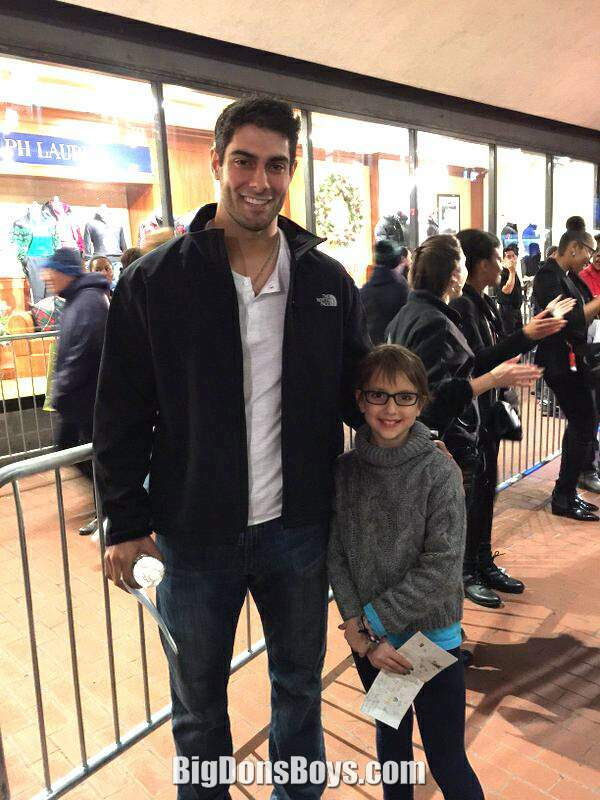 Gee he is so big and cute!